Summary: Although some central banks are researching and testing distributed ledger technology (DLT), there is still a lot of work to be done. We give you an update. People often confuse blockchain with distributed ledger technology (DLT). To help, we note that DLT is really a fancy database (ledger) that is spread out across multiple computing devices (nodes). Each node saves an identical copy of the ledger and individually updates once a majority of nodes agrees with the change. A blockchain is a form of DLT, whereby data is organized in blocks, which are then linked to each other in a chain. Now that you are educated on the basics of blockchain and DLT, we take a brief look at how some central banks worldwide are experimenting with it. One goal perhaps is to develop a central bank-backed wholesale digital currency. From enhanced speed and security to the ability to lower costs and reduce errors, central banks seem to view blockchain-based digital currencies carefully and are treading slowly. As such, the future of such digital currency structures still seems to be quite a ways off. Consider the results of a recent survey conducted by IBM and the Official Monetary and Financial Institutions Forum. It found the majority of central banks think that central bank digital currencies promise benefits and efficiencies not available under the current systems in place; so several central banks have already begun researching and testing digital currencies of their own. That said, it also found that before such currencies can become a reality, there are a number of hurdles to overcome. One such hurdle is the reality that introducing central bank-backed digital currencies would require both policy changes and enhanced compliance standards for any interactions between different technology platforms. The second hurdle is the current blockchain limitations. Central banks believe there must first be significant improvements in the blockchain systems currently in use and those being tested. It is true that some central banks have been exploring the use of blockchain (which would allow for real-time clearing and broaden the types of assets that could be recorded as part of transactions beyond cash), but 61% have not seen enough benefits of DLT in trials to merit pursuing them. Another area of importance that needs to be hashed out is where the ultimate responsibility for storing the programs and information necessary to implement these digital currencies would lie. Given the likelihood that any central bank-backed digital currencies would need to interact with legacy systems, central banks are divided as to whom should shoulder this responsibility. About 50% believe servers should be stored by different participants, while the other 50% believe they should be kept by central banks only. Cybersecurity is yet another major concern that must be addressed, of course, particularly when it comes to how such systems would be regulated internationally (given they would all be interconnected digitally now). Lastly, there is the cost. Despite the multiple benefits that central bank-backed digital currencies may promise over the long term, the costs of conducting research and trials are prohibitive for smaller central banks. 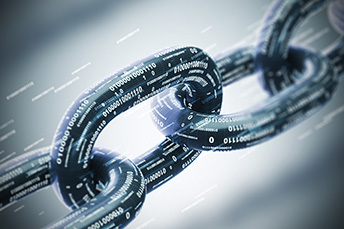 So for now, DLT and blockchain in the central bank world at least appear to be relegated to the world of ongoing research and development for the foreseeable future. American Banker notes that while federal funds sit at 2.25% to 2.50% currently, the largest US banks are paying low rates on basic savings accounts. JPMorgan is paying 0.01%, Wells Fargo is paying 0.01% and Bank of America is paying 0.03%. On November 28th, regional banks met with FASB to propose splitting CECL losses into 3 parts. The proposal seems to have failed miserably, as it did not get the support of larger banks or many community banks. It is estimated that 3B people will digitally access their banks by 2021.